Cary Bouza-Merida, CFO and Administrative Director. Mrs. Merida has had extensive experience in the operations of New Way Day Services, Inc. serving as the CFO and Administrative Director. She is also the President and Chair of A Better Day Learning Center and is dedicated to work closely with families to find funders to assure that all children can receive treatment regardless of the families’ financial capabilities. A Better Day Learning Center has VPK SIS providers to assure that those children receive the needed ABA one-to-one therapy under this program. Once this program is completed during the academic year, the children have historically qualified for the McKay grant. The only requirements for this program is a child ready to enter VPK (at the age of 4 by September 1), have an IEP and the parent’s selection to utilize the VPK SIS program. The Early Learning Coalition will assist with the documentation required to begin the program. 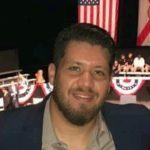 Jose A. Merida, FL-CBA, President and CEO. Mr. Merida has served as the Clinical Administrator of New Way Day Services since its inception in 1999. Prior to this service he practiced as a Certified Behavior Analyst with American Habilitation Services, Liberty Healthcare and Sunrise Communities. 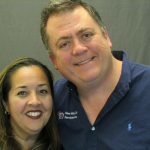 Mr. Merida has 25 years experience serving individuals with special needs in the Miami-Dade area. During the past 9 years, since the Autism Law Mandate was initiated by Autism Speaks, New Way Day Services, Inc. has worked with children on the Autism Spectrum and related developmental disabilities providing Applied Behavior Analysis (ABA) therapy, Parent Training and Social Skills training, among others. Our mission is to meet the therapeutic needs of our patients and assist families to enhance their quality of life. 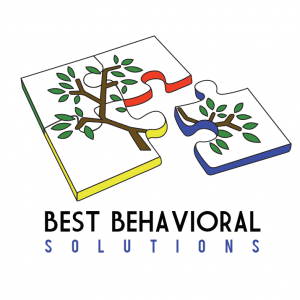 The BBS team is made up of passionate individuals who truly believe in the ability of Behavior Analysis to vastly improve the lives of the children we service. For this reason, we are very selective of the therapists that make up our team and offer ongoing continual education opportunities. We strive to maintain a caring, collaborative environment that promotes professional growth and advancement. Mrs. Monica Gilbert is a Board Certified Behavior Analyst (BCBA) and a Licensed Mental Health Counselor (LMHC) and the founding president of Crystal Minds New Beginning. Mrs. Gilbert has been working with children, adolescents and adults for almost ten years and has worked with infants and toddlers as an Infant Toddler Developmental Specialist (ITDS). 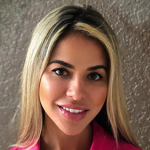 She graduated from Florida International University with a Bachelor degree in Psychology and a minor in Behavior Analysis and Masters of Science degree from FIU in Education with Mental Health Counseling minor.